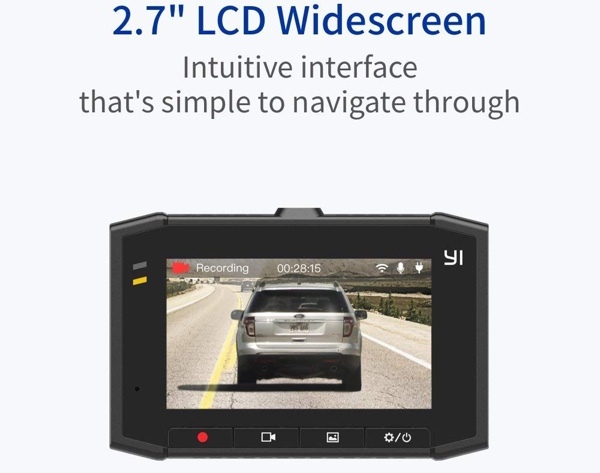 This wonderful Yi in-vehicle dash camera is reduced to just $45.79 via an Amazon offer and on-page coupon. For that small financial outlay, you’re going to be able to bring some technology to your vehicle as well as peace of mind to yourself or a loved one. The first thing that you will notice with this hardware is that it differentiates itself from other offerings on the market with a futuristic design that looks more like a digital camera of the future than an in-vehicle dash camera. And that’s definitely not a bad thing as the sleek lines and carbon-effect makes it look gorgeous. The prominent lens on the front of the dash camera also instantly gives you the sense of confidence in the hardware’s ability to capturing everything that you need it to. The camera comes with a stunning 2.7K resolution offering loop recording of videos with H.264 video encoding and up to 60 frames-per-second. 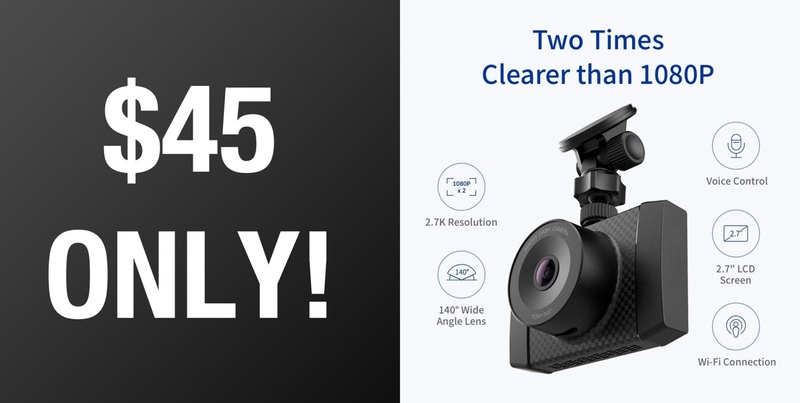 As you would expect from a product of this nature which is to be used in a vehicle, the Yi dash cam offers a wide angled 140-degree lens to ensure that it captures the entire multi-lane motorway or highway to give additional peace of mind. It also takes the additional step of bundling in voice control so that drivers can focus on the road and avoiding hazards but still control the system without having to physically interact with it. Additionally, this piece of kit is also packed full of beautiful technology. It contains a dual-core internal chip to promote performance, high sensitivity light sensors to make sure that it gives the very best in low-light conditions, and 3-axis gravity sensor to store and lock emergency recordings. If you have been looking for a performant dash camera for yourself or a loved one then this is definitely where you need to be looking. And if you go through with the purchase then make sure that you take advantage of the on-page $40 coupon discount to ensure that you lock in the maximum savings and get this hardware for a fraction of its actual cost.